“What are the best protein powders for pregnancy, and do I even need it?” – That’s a question I get asked a lot. And my answer is always the same – yes, you do! 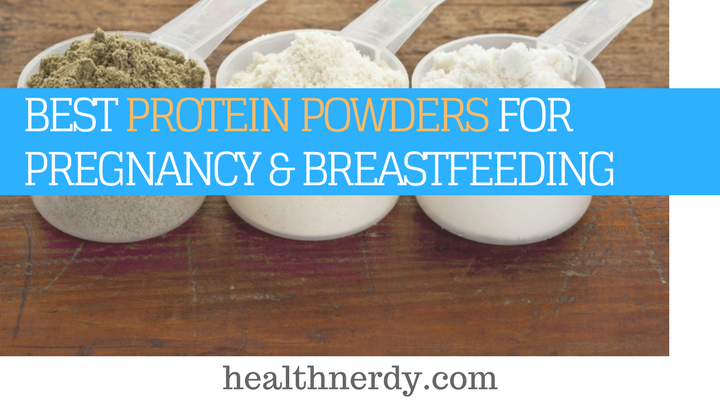 You even need the protein powder for breastfeeding to give your little bundle of joy the nutrition they deserve. Pregnancy is one of the most cherished times in any woman’s life that takes her through many hurdles. From heartburn, weight gain, and morning sickness to sleepless nights and mood swings – a woman goes through incredible mental and physical changes to bring a new life into this world. At a time like this, mother’s care should be the top priority, and she must get nothing but the best regarding nutrition. Hi, I’m Bella Hardy, and I want to ask you a question today. Are you getting the nutrition you need during pregnancy? If your answer is something close to “no, or I don’t know about my nutritional needs” then you need to read this guide. Importance of Prenatal Protein Powders for Breastfeeding Moms? How to Choose Top powders During Pregnancy Period? May Whey Protein Lower Blood Pressure? 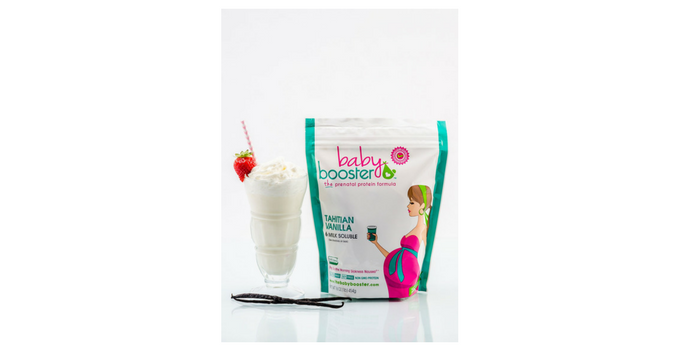 This prenatal protein powder from Baby Booster has to be my personal favorite! My friend recommended it to me last year when I was pregnant mom with my second baby, and I didn’t ever feel the need to switch to something else. This product is not only tasty (Tahitian Vanilla flavor being my favorite), but also offers protein content of 20 grams per serving. That’s pretty neat for a package so reasonably priced. What led me to this product is the fact that it is Non-GMO, gluten free, soy free, and devoid of any artificial sweeteners. Being an advocate of yoga and natural health care, I can’t even begin to explain how important those traits are to me. But that’s not all; this protein powder for women is also rich in vitamin B6 and might help you deal with nausea-inducing morning sickness a little bit better. You can mix this protein shake it with either milk or water and enjoy up to 2 – 3 servings every day. It is obgyn approved. I even used it well after birth because its beneficial for breastfeeding mothers as well. 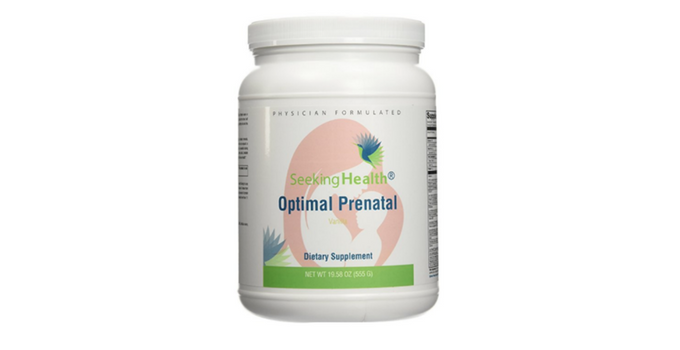 I suggest you give it a try to this prenatal vitamin supplement shake. This protein powder also comes with the recommendation from a dear friend of mine. Even though the brand hasn’t explicitly mentioned this product to be specifically suited for pregnant women, my friend gave it a shot anyway. What she liked most is the fact that this bag of whey protein was low-calorie and low-carb. Now, unlike me, my friend continued working out at the gym (fit pregnancy) for almost 7 months into her healthy pregnancy and used this product as a post-recovery supplementation during pregnancy and breastfeeding. She said that it great for exercise and worked wonders! I believe her. This product has all the makings of prenatal protein powder as it is gluten-free, soy free, and Non-GMO. It doesn’t come with any artificial preservatives or sweeteners as well. So, I’d say that this product and my choice of quality protein powder (Baby Booster) are more similar than they are different. Except this product gives you 25 g of protein per serving whereas the product by baby booster gives 20 g.
So, if you’re someone who is hitting the gym while still flaunting the baby bump, this is one product you might want to try. You can use TGS All Natural 100% Whey Protein Powder after childbirth too as it helps in weight loss. Seeking Health has created this nutritional product comprising of a unique blend of vitamins, minerals, and amino acids for pregnant women. The company says that the unique combination is formulated to help to provide nutrition for optimum fetal development. They also claim that the product is “physician formulated,” implying what I don’t quite understand. But are these claims valid? I can’t say with 100% certainty, but I can say that this product works! I’ve spoken to a few women on this topic, and they had nothing but good things to say. It supports cell growth, cardiovascular, immune, and cardiovascular health, and even without using any ingredients such as Egg, Fish, Dairy, Peanuts, and Shellfish, etc. This item is 100% vegetarian and includes active B6 and ginger that may help with digestive comfort. The price is also a bit too much in my opinion as you only get 15 servings from a bottle that costs $47. These are the pros and cons you must consider before placing an order. The importance of a protein-enriched diet cannot be stressed enough if a woman is pregnant or are breastfeeding. And even more so if the expecting mother has a gym routine. This means you need to be mindful of the things you put in your body. You see, our body goes through miraculous changes in those nine months to ensure that the fetus gets everything it needs to grow up to be a healthy baby. And protein plays a vital role in ensuring that those changes occur as smoothly as possible. By giving your body the necessary building blocks to facilitate cell growth. Without enough protein, you could experience health problems like drastic weight loss, infections, excessive fluid retention, and muscle fatigue. If lack of protein can wreak such havoc on your body, just imagine what it can do to your vulnerable growing baby / infant. That’s why you need the best protein powder for breastfeeding moms as well. With enough nutrition, you can make sure that your body has enough to sustain itself and provide for the baby as it develops. Trips to the supermarket and preparing meal plan to cook up all the protein-rich ingredients can be incredibly challenging when you’re carrying a baby. Not everyone has the time or energy for elaborate meal plans, or the privilege to hire full-time help. There is only so much of eggs, meat, beans, and cheese you can eat before feeling full. At a time like this, switching to a more convenient source of protein can be of incredible help. Believe me; I could have never got my filling of protein without the supplements. But how do you buy the right one for your needs? Don’t worry; I’ve researched on your behalf and come up with three recommendations. Artificial sweeteners: Even though sweeteners now are not what they used to be in the days of aspartame and saccharin, still it makes sense to be careful. Natural is always the best way to go! Sweetened with stevia is fine! Heavy metals: Check for the presence of heavy metals such as mercury, arsenic, lead, etc. and avoid buying baby products that contain them. Usually, grass fed whey protein made by reputed brands, have fewer traces of heavy metals than supplements made by not-so-known companies. Mild Solids: Milk powders & solids can be high in lactose sugars. It can cause constipation and digestive upsets. If you are lactose intolerant - avoid it at all cost. If you are allergic to whey or if it not good on your stomach, consider a plant-based such pumpkin, hemp, pea protein or brown rice powders. Alternative sources: lentils (can be used in most vegan / vegetarian recipes), tofu, quinoa. A small number of studies on humans have studied the effect of whey proteins on blood pressure, and the evidence is inconclusive at this point. In one study in individuals who are overweight showed that supplementation with whey protein (54 grams of protein a day for Twelve weeks), lowered systolic blood pressure by 4%. Other type of milk proteins such as casein had similar effects (link). 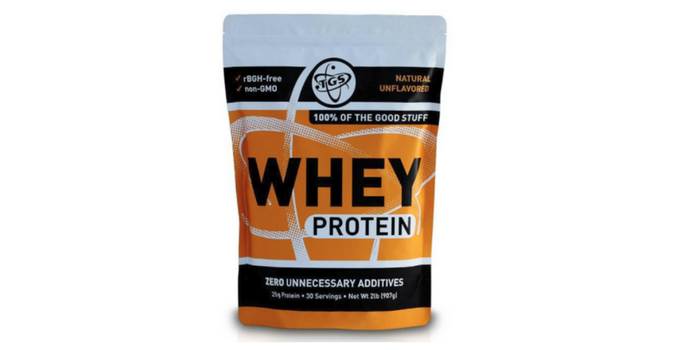 Whey protein isolate is the best in general as it is pure and has a good amino acid profile. Can possibly have some benefits on milk supply as well. As a disclaimer, I’ll have you know that I’m not a certified medical professional. I’m just a stay-at-home mom with a degree in health sciences, and a passion for helping people lead better lives through my experiences and knowledge. If you have any doubt about dosage or how might the organic whey protein act on your body, consult a doctor. Try one of my recommended products and let me know what you think.